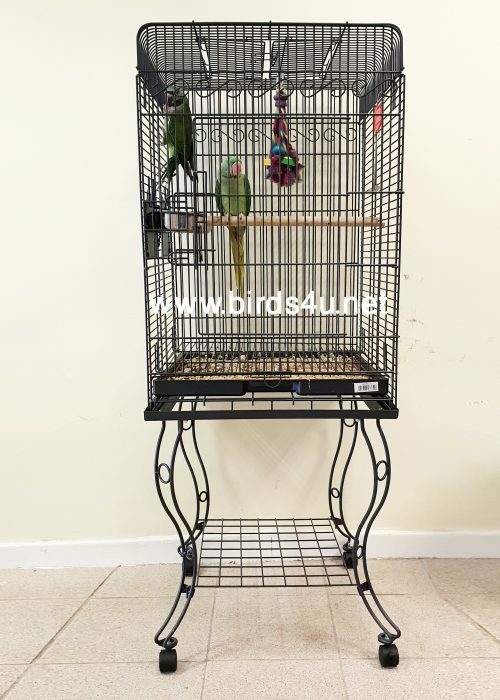 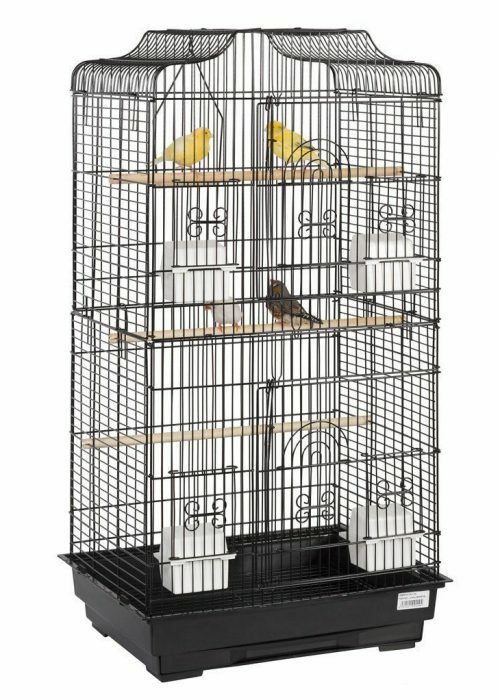 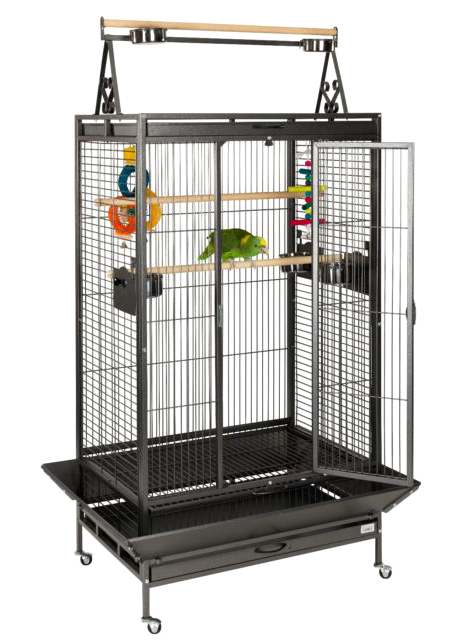 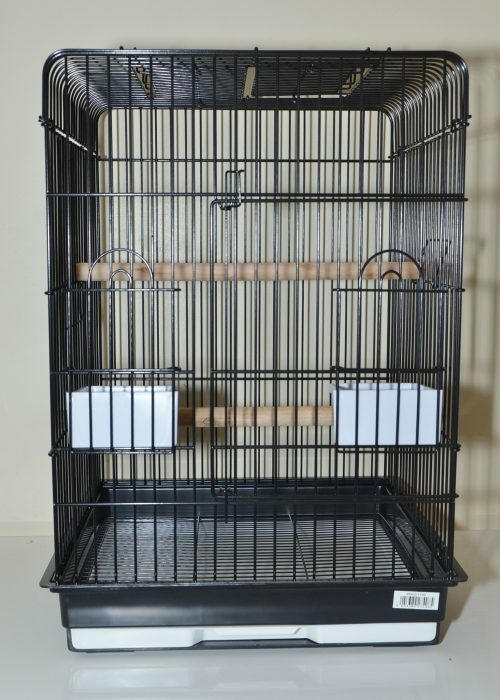 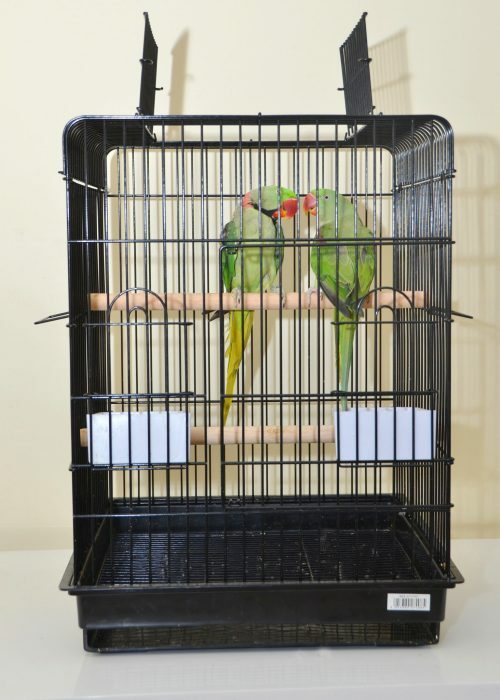 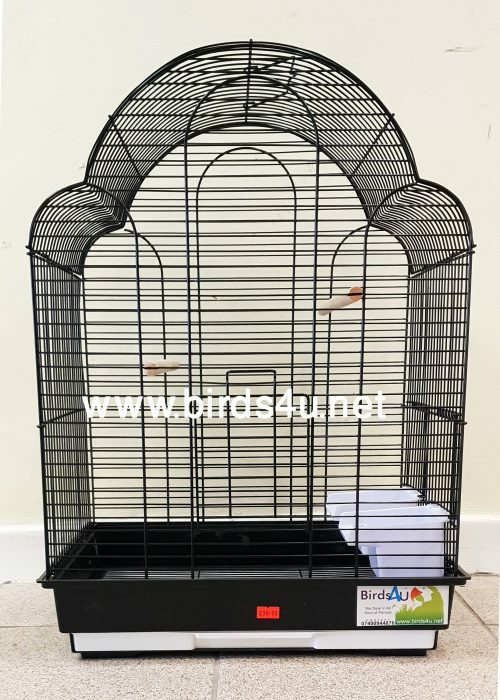 This large parrot cage also comes with wheels, 2 wooden perches and 1 top perch and 5 feeding bowls. 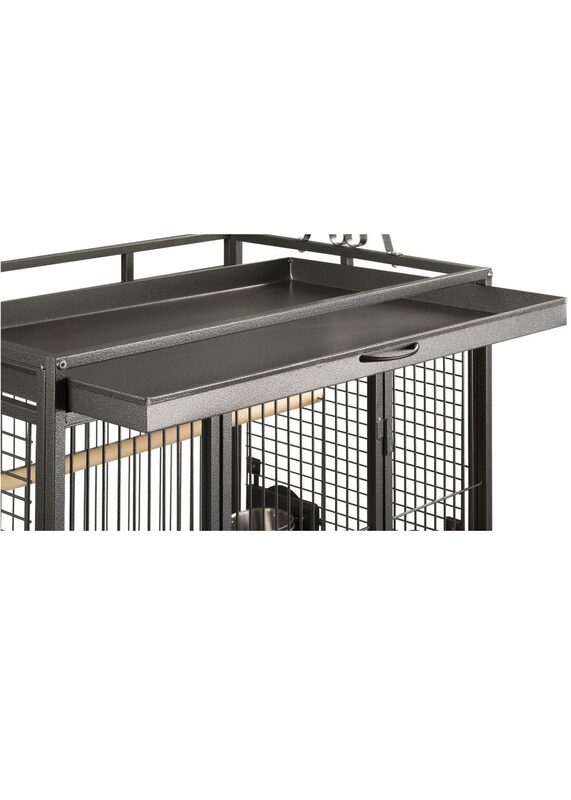 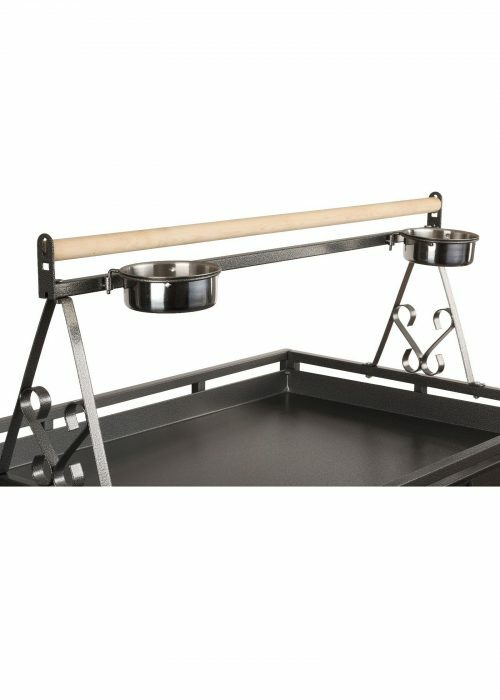 2 pull out trays at the base of the cage for easy cleaning. 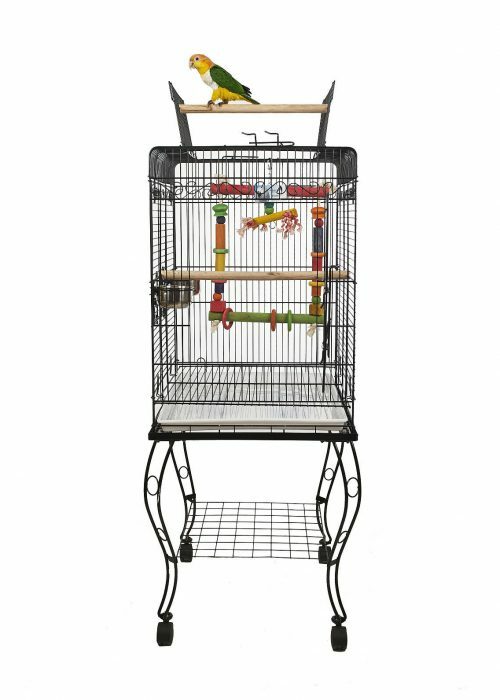 Dimension H 58 inches , W 32 inches, D 22 inches.